426. Another form of rotary engine, in which there are two stationary abutments, D, D, within the cylinder, and the two pistons, A, A, in order to enable them to pass the abutments, are made to slide radially in grooves in the hub, C, of the main shaft, B. 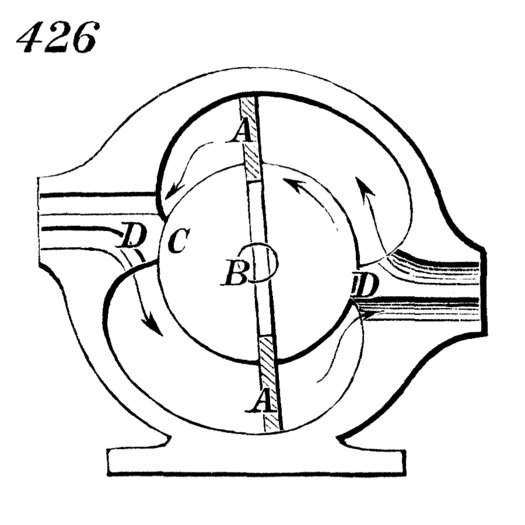 The steam acts on both pistons at once, to produce the rotation of the hub and shaft. The induction and eduction are indicated by arrows.